The 2018 annual meeting of the NCI Community Oncology Research Network (NCORP) grantees, in late September was a banner year for recognition in the community-based research network. A total of 81 Physician and NCORP Site Accrual Awards were given based on accruals to NCI treatment and cancer control clinical trials between August 1, 2017 and June 30, 2018. Awards were bestowed on NCORP Sites for overall accrual to cancer control and treatment trials between August 1, 2017 and June 30, 2018. Platinum Awards were given to sites who had more than 115 accruals during that time period. Of the 70 NCORP sites New Mexico Minority Underserved NCORP was one of 15 sites to receive this award. 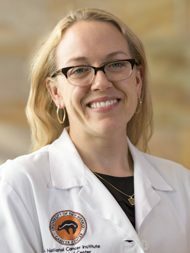 One of the top four accruing physicians to treatment trials was Dr. Ursa Brown-Glaberman of UNM Comprehensive Cancer Center. Dr. Helosia Soares of UNM Comprehensive Cancer Center was elected to serve a 3-year term on the National Cancer Institute’s Neuroendocrine Tumor Task Force. 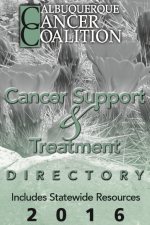 New Mexico Cancer Care Alliance, NMCCA, supports New Mexico cancer patients, their families, and their loved ones by helping patients get access to local investigational treatments and providing the latest information from cancer research studies. NMCCA is a New Mexico nonprofit 501(c)(3) charitable organization. We were formed in 2002 by a small group of dedicated cancer physicians in Albuquerque who were concerned that the newest investigational cancer treatments were only available through research studies and clinical trials conducted outside the state. They saw firsthand that the economic and emotional costs of travel too often kept New Mexico cancer patients from participating in these programs. Maintaining a registry of information about oncology clinical trials. Working with government agencies and pharmaceutical companies to bring clinical research trials to New Mexico. Handling the administrative work that is required to open and manage local research studies. Sponsoring training sessions for patients and physicians about the latest oncology research findings.